When her father's debts, brought on by heavy drinking, threaten fiery redhead Leah Carlson's family ranch, she fights to save it. When handsome banker Steven Harding must decline her loan request, he determines to do what he can to help. 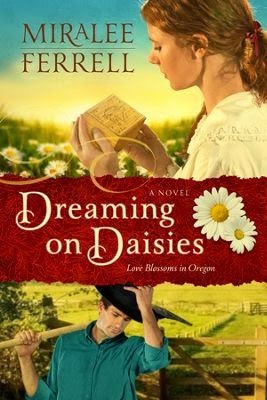 Just as he arrives to serve as a much-needed ranch hand, Leah's family secrets, and the pain of her past, come to a head. They could destroy everything she's fought for. And they could keep her from ever opening her heart again. Purchase the book HERE. Miralee Ferrell is the author of The Other Daughter and the Love Finds You series, which includes the award-winning novel Love Finds You in Sundance, WY. She and her husband live on eleven acres in southern Washington State, where they love to garden, sail, ride horses, and visit with their children and grandchildren. Learn more about Miralee and her books HERE.